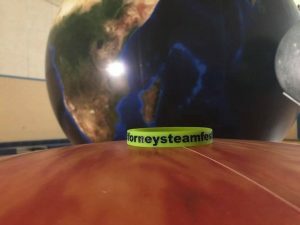 Orb Visits Forney ISD for STEAMfest 2018! Orb had a blast visiting with families of Forney ISD at their second annual STEAMfest! Thousands of people, over 50 stations and activities…Orbit Earth Expo fit right in and served up four programs throughout the evening. Our teachers were blown away when a student correctly identified a solar eclipse before the words were even out of her mouth! Wow! We saw older kids expertly guiding younger students through rotation and revolution, phases of the moon, and the solar system. Parents rose to the challenge when they were called on remember the planets in order from their own school years! Thank you so much for having us out to STEAMfest 2018!